Destination ideas for your personal tour of Tuscany. Tuscany is the location of an incredible concentration of art towns, mediaeval hill towns, picturesque villages and hamlets, spectacular countryside and wine regions. The art towns of Florence, Pisa, Lucca offer some of the most important museums and historical sites in Italy, if not the world. The mediaeval hill towns of Siena, San Gimignano and Volterra have a mix of an almost intact mediaeval architecture combined with some of the best preserved art masterpieces of the middle ages. The countryside of the Chianti with its rolling hills covered of vineyards and olive orchards, medieval hamlets and castles, ancient farmhouses, offers some of the most complete and spectacular landscapes of Italy. 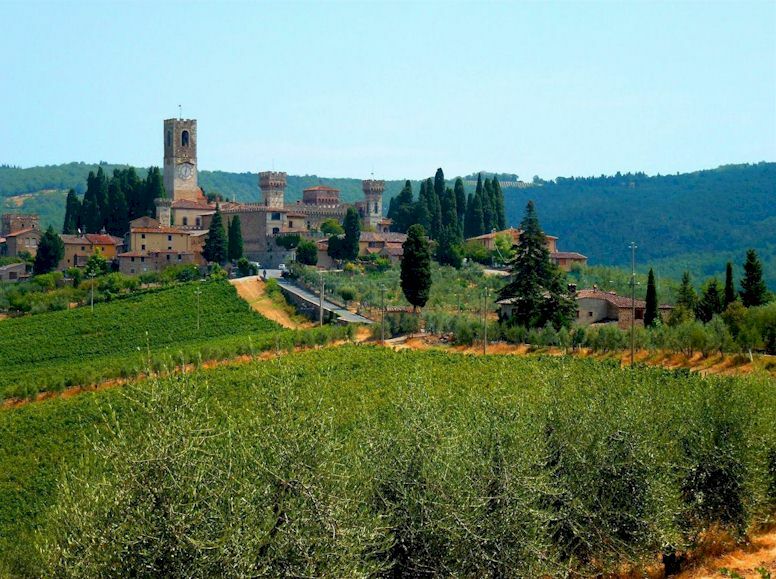 It is a perfect place for your day out of the beaten track; the Chianti Classico with its villages like Greve in Chianti, Panzano, Montefioralle, Radda, Castellina is a relaxing oasis after a busy day in an art town and its museums. Other gorgeous areas are located south of Siena - the green Valdorcia and the dry Crete Senesi. Tuscany is also the paradise of the wine lovers: the Chianti Classico territory, the land of the black rooster, with its hundreds of wineries and wine shops is the largest wine region of Tuscany, followed Montalcino and the Brunello region, and then Montepulciano and its Vino Nobile. If you arrive by cruise ship at Livorno and it is your first visit in our region, a day trip to Pisa and Florence is a must. If time is still available after your visit to Florence, the Chianti region around Vinci is a perfect place to relax after a busy day. Pisa could be combined with another wonderful art towns like Lucca and it could be done even in 6 hours. Or you could decide to extend your day by visiting the countryside around Lucca with its 17th century villas and its excellent extra-virgin olive oil. In case you want to see Pisa but spend a more relaxing day you could combine it with the Chianti Classico, or with the “mediaeval Manhattan” of San Gimignano. San Gimignano could be combined with the other medieval hill town of Volterra or Sienna, or with the countryside and wine region of the Chianti Classico. It would be possible also to combine San Gimignano with Florence. If you stay in Florence, you are in the best location for day tours as it is right in the middle of the Tuscan region. 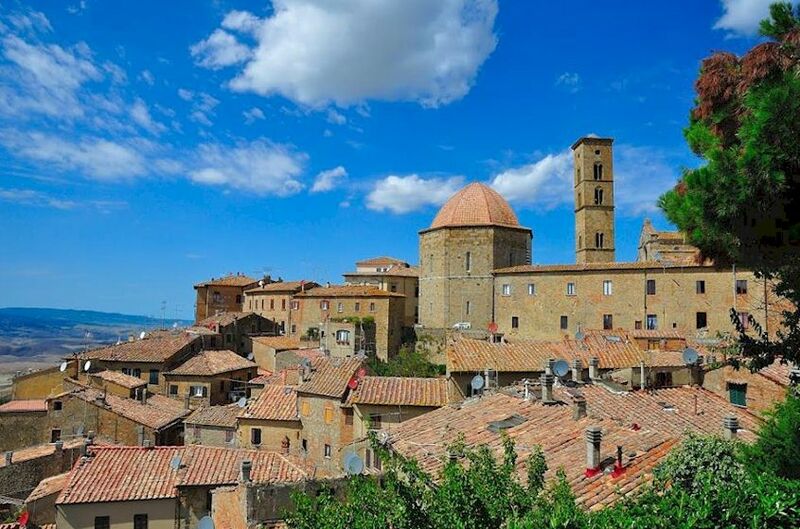 Sienna – San Gimignano or one of them combined with the Chianti Classico or the mediaeval hill town of Volterra. A full day to the Chianti Classico is perfect to relax enjoying the scenery, castles and villages, and to taste some wine. Another perfect combination is Pisa - Lucca. If you are staying in a villa in the countryside or in a village or other location not too far from Florence, I will be glad to help you to plan the best itinerary within a reasonable range of distances.